The data used for the study consistently shows the lack of evidence for an association between autism, autism spectrum disorders and childhood vaccinations. No link was found by the researchers, regardless of whether a combination vaccine (MMR) was used or simply one of its components was used. The researchers site this new data as evidence that parents should not avoid immunizations on the grounds that they may cause autism. Eslick has stressed in interviews that he has no vested interest in the argument and that the study was not funded by a drug company; though not everyone agrees the paper is bias-free. Professor Guy Eslick notes that parents avoiding vaccines based on unproven fears of autism is especially concerning, “given the fact that there have been 11 measles outbreaks in the US since 2000, and New South Wales also saw a spike in measles infections from early 2012 to late 2012.” Eslick also says, “The increase in parents deciding not to vaccinate their children has substantially decreased ‘herd immunity’ among populations, subsequently increasing the risk of catching potentially more serious infectious diseases.” Overall, like with all childhood medications and treatments, there are some cons to vaccines. However, vaccines do prevent some scary and deadly diseases, and as this new research shows, are unlikely to cause autism. Though the 'vaccines cause autism' theory was debunked and referred to as an �elaborate fraud� three years ago, there are still many who believe that vaccines are indeed linked to autism. In light of this, a large systematic international review of childhood vaccinations has found no evidence that vaccines lead to the development of autism or autism spectrum disorders (ASDs). The comprehensive review, led by researchers from the University of Sydney, was recently published in the medical journal Vaccine and examined five cohort studies involving more than 1.25 million children. There were also five additional case-control studies involving more than 9,920 children�used for the research. 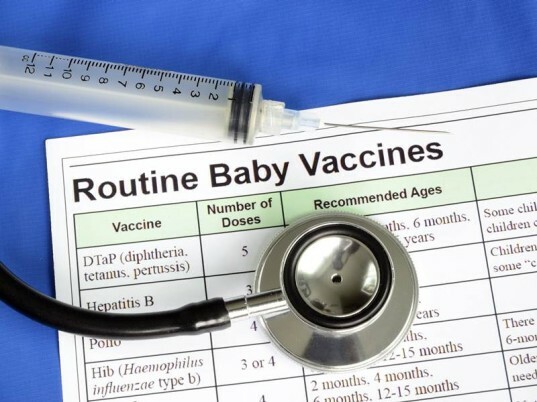 Both sets of data showed NO statistical data to support a relationship between childhood vaccination for the commonly-used vaccines for measles, mumps, rubella, diphtheria, tetanus and whooping cough and the development of autism or ASDs. �Paper senior author Associate Professor Guy Eslick from the Sydney Medical School said,�"There has been enormous debate regarding the possibility of a link between these commonly-used and safe childhood vaccinations and the supposed development of autism.�This has in recent times become a major public health issue with vaccine-preventable diseases rapidly increasing in the community due to the fear of a 'link' between vaccinations and autism."